The latest from New German Cinema director Wim Wenders, Every Thing Will Be Fine is a film which walks an unbelievably dangerous line between ‘outright bad’ and ‘self-consciously analytical.’ A dangerous line walked on a tightrope a hundred feet in the air, and in 3D, no less. After a string of documentaries, Wenders has finally returned to fiction filmmaking, but the result doesn’t exactly merit celebration. James Franco stars as Tomas, a writer who has hit a lull. After a tragic accident, writing about what has happened seems to bring him sudden inspiration which later leads to renewed acclaim. Unfortunately, this also means a strain on his current relationship. Tomas is a quiet fellow. He rarely seems to express his feelings, and this is what really ends up straining his relationships. In the midst of all sorts of traumas and insanity, he somehow never fails to keep his cool. The use of 3D is strange and subdued, but occasionally really lends the perfect pop to cinematographer Benoît Debie’s (Spring Breakers, Enter the Void) already stellar slow-moving compositions. Wenders has discussed the choice of 3D for such a quiet drama film as an effort to give the image the same ‘depth’ as the emotions in play. The only problem is that Bjørn Olaf Johannessen’s script falls completely flat when it comes to emotions. Characters state their motivations and worries outright, avoiding any semblance of emotional complexity or depth. The performances are frustratingly withheld or overwrought, especially considering the cast that Wenders managed to round up. 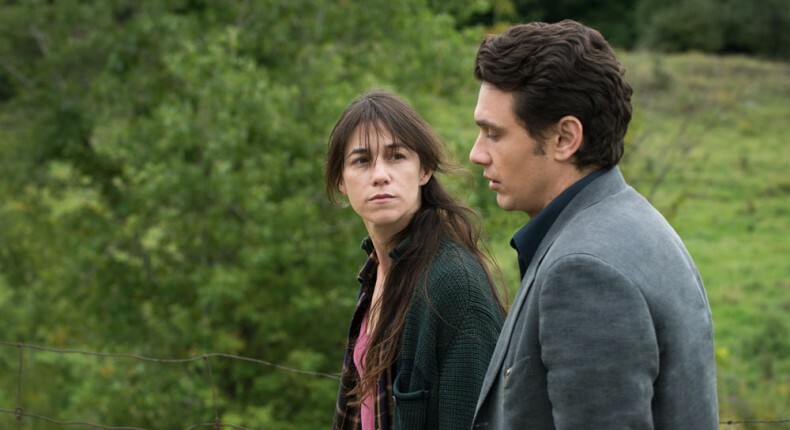 James Franco turns in yet another James Franco performance brimming with half-hearted brooding. Charlotte Gainsbourgh looks like she’s stumbled out of a Lars von Trier film, unable to remove her mourning mask. Rachel McAdams bears the worst fake French-Canadian accent you’ve never heard. Peter Stormare is outright wasted in a brief cameo. Somehow, as the film progresses, the bad acting, the simple script, and Tomas’ withheld emotions begin to show signs of self-awareness, if only small ones. Even if it is all a very purposeful affair, it doesn’t feel like it. Additionally, the signs seem too little, too late. Musically, there is an interesting new theme from composer Alexandre Desplat (alongside its less-interesting cousin) and a pleasant concert scene cameo by singer-songwriter Patrick Watson. Desplat’s score sets up a handful of red-herring ‘Gotcha!’ moments throughout the film in which things don’t quite play out as expected. Watson’s cameo seems to happen just so that Tomas can have something as mildly interesting to do as going to a seated concert to pass the time. For the most part, Every Thing Will Be Fine is a great big boring mess which holds back until the end to half-reveal it just might’ve been stagey, contrived, and poorly-acted on purpose as a means of self-examination of narrative drama through the relationship between an author and his or her audience, and expectations. It’s thematically interesting, but a bit underdeveloped.